7.1 If you postpone or cancel this Agreement, giving less than 14 days notice you will forfeit your reservation fee, if more than 14 days notice is given then your reservation fee will be refunded or carried over to your new date. 8.1.2 Payment is required on the day of the Removal in full (Less your reservation fee) to our driver for standard UK Domestic Removals. For office and European Removals, payment is required by cleared funds seven days in advance of the move. 8.1.3 You may not withhold any part of the agreed price. 9.1.1 If you provide us with a declaration of the value of your goods, and subject to clause 3.1.1, the amount of our liability to you in the event of loss or damage to those goods in breach of clause 4 will be determined in accordance with Clauses 9.1.2, 9.1.3 and 11 below, subject to a maximum liability of £50,000. We may agree to accept liability for a higher amount, in which case we may make an additional charge. 9.1.2 In the event of loss of or damage to your goods in breach of clause 4, our liability to you is to be assessed as a sum equivalent to the cost of their repair or replacement whichever is the smaller sum, taking into account the age and condition of the goods immediately prior to their loss or damage, and subject to the maximum liability of £50,000 referred to in clause 9.1.1 (unless we have agreed a higher amount with you). 11.3.10 Loss of or damage to china, glassware and fragile items unless they have been both professionally packed and unpacked by the us or our Subcontractor. In the event of an accident involving an owner packed container where damage would have occurred irrespective of the quality of the packing, then our liability is limited to £100 or its actual value whichever is less. 14 Our Right to Hold the Goods (lien) We shall have a right to withhold and/or ultimately dispose of some or all of the goods until you have paid all our charges and any other payments due under this or any other Agreement. (See also Clause 23). These include any charges that we have paid out on your behalf. While we hold the goods you will be liable to pay all storage charges and other costs incurred by our withholding your goods and these terms and conditions shall continue to apply. 15 Disputes If there is a dispute arising from this Agreement, which cannot be resolved, either party may refer it to the Conciliation Service provided by the British Association of Removers (BAR). If the dispute cannot be settled by this method, it may be referred by either party to the BAR Arbitration Service. Under this scheme, the case will be independently determined by an arbitrator appointed by the Chartered Institute of Arbitrators. Recourse to arbitration is subject to certain limits, current details of which are available upon request from BAR, Tel: 020 8861 7769, Fax: 020 8861 3332, Email: info@bar.co.uk. This does not prejudice your right to commence court proceedings. 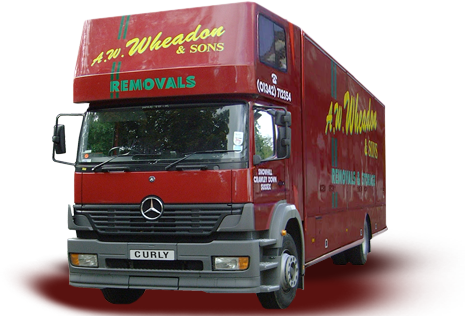 18 Advice and information for International Removals We will use our reasonable endeavours to provide you with up to date information to assist you with the import/export of your goods. Information on such matters as national or regional laws and regulations which are subject to change and interpretation at any time is provided in good faith and is based upon existing known circumstances. It is your responsibility to seek appropriate advice to verify the accuracy of any information provided. 19 Applicable law This contract is subject to the law of the country in which the office of the company issuing this contract is situated. 21 List of goods (inventory) or receipt, Where we produce a list of your goods (inventory) or a receipt and send it to you, it will be accepted as accurate unless you write to us within 10 days of the date of our sending, or a reasonable period agreed between us, notifying us of any errors or omissions. 22 Revision of storage charges We review our storage charges periodically. You will be given 3 months notice in writing of any increases. 23 Our right to Sell or dispose of the GoodsIf payment of our charges relating to your goods is in arrears, and on giving you three months’ notice, we are entitled to require you to remove your goods from our custody and pay all money due to us. If you fail to pay all outstanding amounts due to us, we may sell or dispose of some or all of the goods without further notice. The cost of the sale or disposal will be charged to you. The net proceeds will be credited to your account and any eventual surplus will be paid to you without interest. If the full amount due is not received, we may seek to recover the balance from you. 24 Termination, If payments are up to date, we will not end this contract except by giving you three months notice in writing. If you wish to terminate your storage contract, you must give us at least 10 working days’ notice (working days are defined in Clause 7 above). If we can release the goods earlier, we will do so, provided that your account is paid up to date. Charges for storage are payable to the date when the notice should have taken effect.